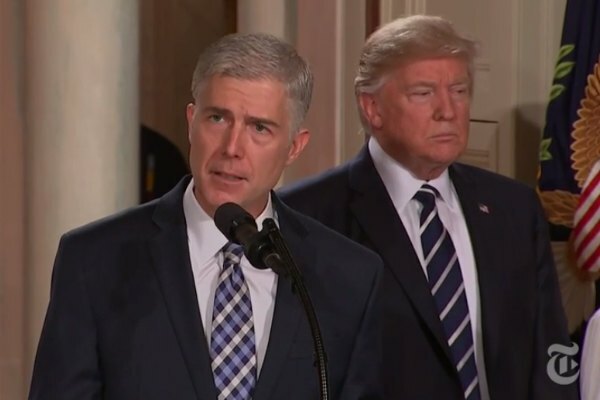 A gay former employee of Judge Neil Gorsuch, President Donald Trump's conservative nominee for the Supreme Court, says that Gorsuch is not anti-gay. Josh Goodbaum, who clerked for Gorsuch in 2009, told The Huffington Post that Gorsuch congratulated him on his 2014 marriage. LGBT groups have come out against Gorsuch's nomination. According to “judicial common space” scores, Gorsuch sits ideologically to the right of the late Justice Antonin Scalia, an outspoken opponent of LGBT rights.